← A New Church of Ireland Chaplain for UCC ~ The Photos! The annual youth leaders weekend organised by the Cork Diocesan Youth Council is always valued by the participants. This year’s weekend was held on 2nd to 4th February in Clonakilty, County Cork. Again this year it proved to be a great time to meet and get to know the youth leaders around the Diocese. Guest speakers are also brought in each year to run workshops; a chance to get motivated, recharged and ready for the coming year. This year did not disappoint. 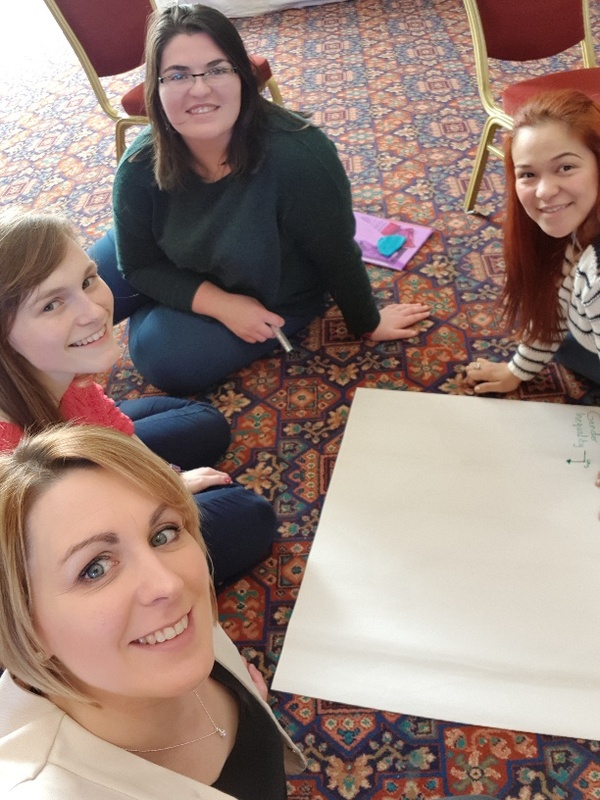 Emma and Gemma from Tearfund Ireland ran a very interactive and informative presentation on Global Justice in Youth Work throughout the weekend. This was the first major Diocesan youth event since the commissioning of new Diocesan Youth Officer, Hilda Connolly, who was also present. Diocesan Youth Officer, Hilda Connolly, with some of those who participated in the weekend. There were a lot of heads spinning (in a positive way!) after the workshops they planned, and there was also a lot of enthusiasm on how to implement the ideas into youth groups or parishes. On the Saturday, Kerry McMahon from the Simon Community called in to give everyone a heads up on the homelessness situation around Cork and on how the Simon Community is run. The Bishop, Dr Paul Colton, and his wife Susan Colton, also popped in on Saturday to have a chat to Emma and Gemma, to meet with the youth leaders and to join them for lunch. It was great to have them along and to see the training being offered. 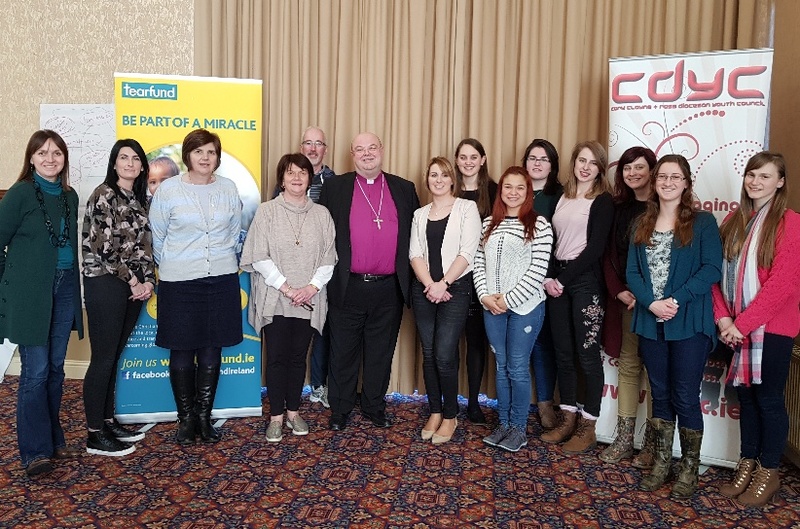 Youth leaders from Cork, Cloyne and Ross with Emma and Gemma from Tearfund Ireland, with Bishop Paul and Mrs Susan Colton who dropped in to see what was going on at the youth leaders weekend. By the end of the weekend everyone had lots of ideas and plans, and, of course, were fully refreshed and ready to tackle the world! The training weekend ended with Sunday Morning Service at Kilgarriffe Parish Church. This entry was posted in CDYC, Contemporary Issues, Diocese, Training Event, Youth Work. Bookmark the permalink.